Grindel was accused by German weekly magazine Der Spiegel last week of failing to declare additional income of 78,000 euros ($87,000) for being chairman of the federation’s subsidiary media management company in 2016 and 2017 – on top of his regular salary as president. Ozil quit after the tournament, saying he was being made a scapegoat for the team’s poor performance and a target for racist abuse – and he was particularly scathing of Grindel, who subsequently expressed his regret over his handling of the matter. 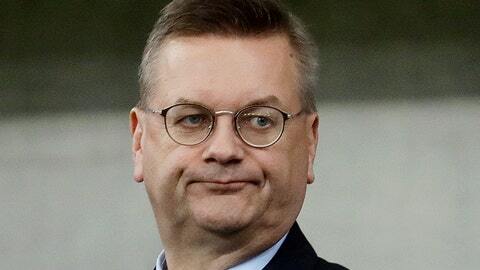 Grindel was criticized for agreeing to a hasty contract extension with Germany coach Joachim Loew after the tournament, while he recently complained about Loew’s decision to drop Mats Hummels, Jerome Boateng and Thomas Mueller from the team – before doubling back.